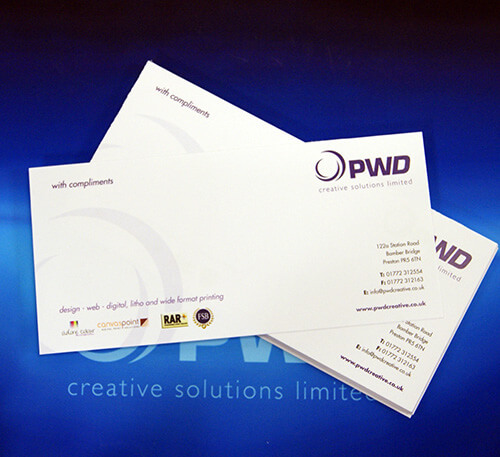 Please note that letterheads digitally printed may not be suitable to overprint on certain copiers or printers. Please check with us on ordering. All business cards, letterheads and compliment slips are plus vat Standard print time is 5 working days from approved artwork.